The AT4050 URUSHI is one of two limited-edition versions of the AT4050 multipattern condenser released in 2012. The URUSHI edition, which commemorates Audio-Technica’s 50th anniversary, features a traditional Japanese urushi lacquer finish with hand-painted Japanese maple leaves. The microphone differs from the standard AT4050 only in the exterior finish; like the original, the URUSHI is a tripolar FET condenser based on a transformerless output circuit and a center-terminated true-condenser capsule. The capsule uses dual 2-micron membranes metallized with vapor-deposited gold. 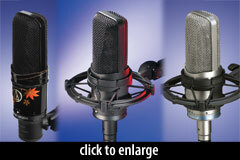 With an active diaphragm diameter of 21.4mm, this is most accurately classified as a medium-diaphragm microphone. 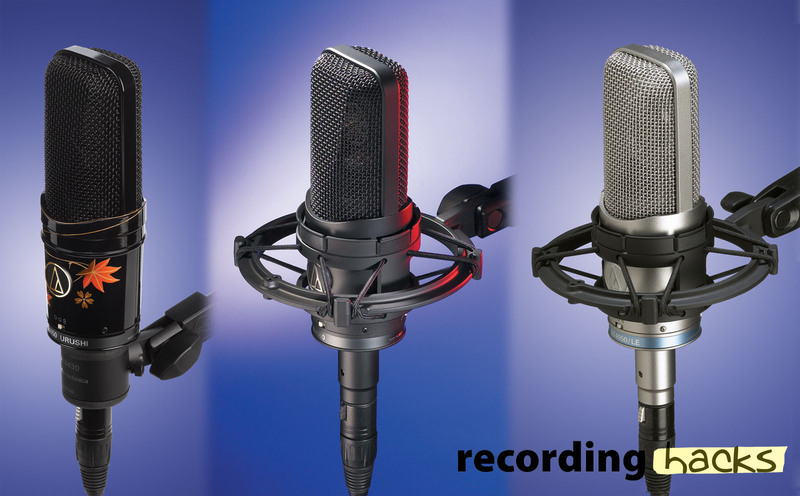 A switch on the microphone body provides access to three polar patterns: cardioid, omni, bidirectional. Additional switches enable a pad (-10dB) and a high-pass filter (-12dB/octave @ 80Hz). This anniversary-edition microphone ships in a commemorative wooden case. Unlike the AT4050 and AT4050/LE, the URUSHI edition does not include an elastic shockmount, presumably because it would cover the custom lacquer finish. Audio-Technica ships the URUSHI with a rubber-lined isolation mount.